Ever dream of making your own video games? RPG Maker allows you to customize every aspect of your game with an easy-to-use interface, making it perfect for beginners yet powerful enough for experts. 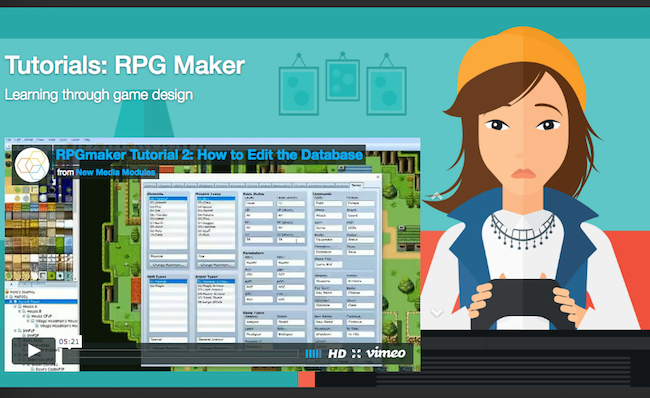 Our RPG Maker tutorial set introduces you to the basics of RPG Maker, as well as some of the software’s more complex game-making, simulation, and world-building features. Use RPG Maker to create adventure games, interactive narratives, simulations, or experimental digital artworks.